In order to track down bail jumpers, Ralph 'Papa' Thorson (Steve McQueen) goes on a series of routine and not-so-routine searches. Sometimes he takes down his quarry easily. At other times, he's forced to extreme measures which result in the injury or death of a lawbreaker. And then again, there are other moments when his own life is on the line. It's all enough to make Thorson question what he has done with his life. hunter1.jpg (56k): Thorson chases a bail jumper atop a speeding 6000-series train. cover.jpg (4k): The video box cover of The Hunter, with a different view of the above scene. The Hunter was Steve McQueen's last film before his death. 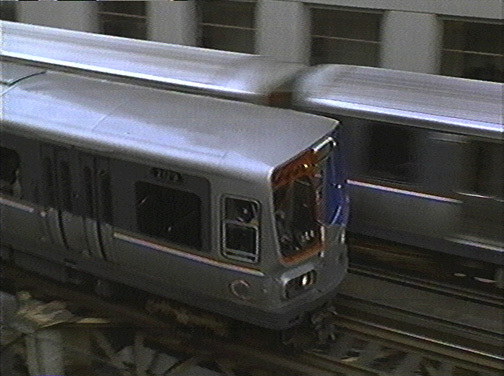 In the film, a Ravenswood express (which doesn't exist anyway) starts on Track 1 at Wilson, loops the west side via Lake Street and then traveling southbound, passes through Wilson again, past the Wilson shops and enters the State Street subway at Armitage, a completely illogical routing. 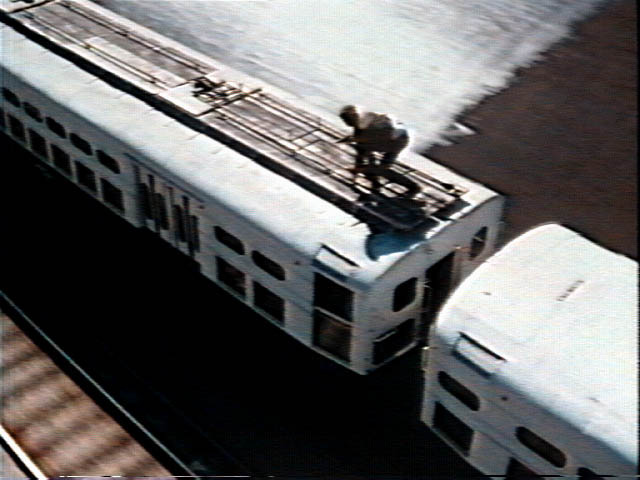 McQueen (and his stuntman) ends up riding on the roof of a 6000, specially retrofitted for the movie with a plywood platform, lots of things to hold onto, and a couple of double trolley poles that look like they came off a Cincinnati streetcar. Amusing comedy about Wayne Campbell (Mike Myers) and Garth Algar (Dana Carvey), a couple of Aurora slackers whose successful cable-access show is acquired and altered by sleazy media director Benjamin Oliver (Rob Lowe), who also has his eyes set on Wayne's beautiful musician girlfriend, Cassandra (Tia Carrere). 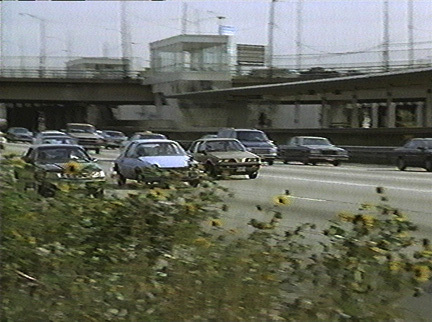 waynes1.jpg (68k): Wayne and Cassandra drive up the Kennedy Expressway, passing the Montrose (O'Hare) "L" station. 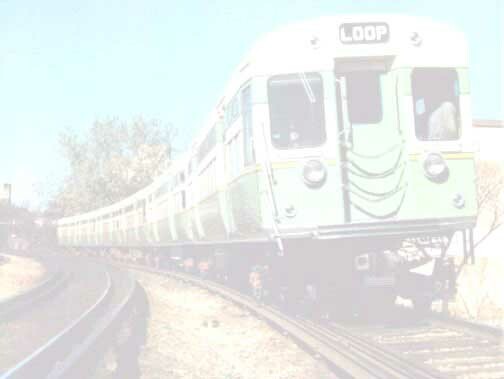 waynes2.jpg (71k): 2000-series and 2600-series trains pass outside the building where the new Wayne's World is produced.